Perhaps the largest draw to the most popular house plans is the inclusion of “flex space” or multi-functional rooms. As families grow and change the requirements placed upon the rooms within your dream house change as well, and modern home design trends reflect this need. But beyond open floor plans and undefined spaces, there is also a rising tide of home furnishings and built-in options that can transform a room quickly and easily. the designs are better than ever. 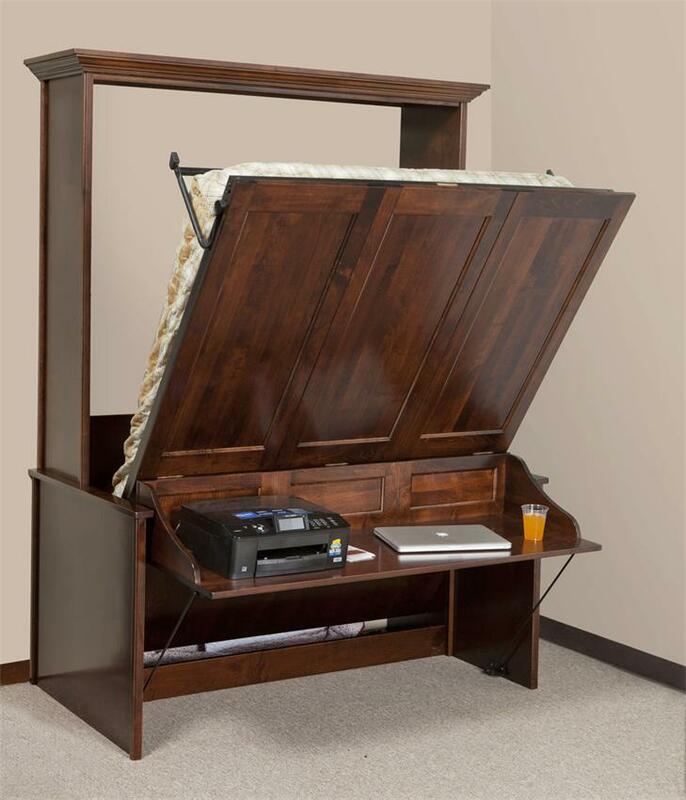 A bed that pulls down from the wall is perhaps the most straightforward space saver available. 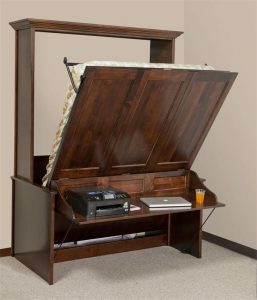 When not in use, the bed folds away to reveal a desk and work space, or cabinets, or enclosed shelves for attractive storage. Sofa beds also are once again in high demand. With an eye towards more intimate details and cozy furnishings, a living room quickly transforms into overnight guest accommodations. An antique bow-front chest or refinished dresser makes a lovely display piece and offers short-term storage for your house guests. 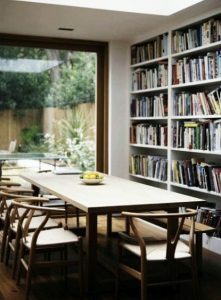 Bookshelves lend a scholarly and cozy feel to this bright dining room. A formal dining room is a lovely addition to any dream house plan, but it can also feel like poorly used square footage if it is only occupied once or twice each year for a large meal. 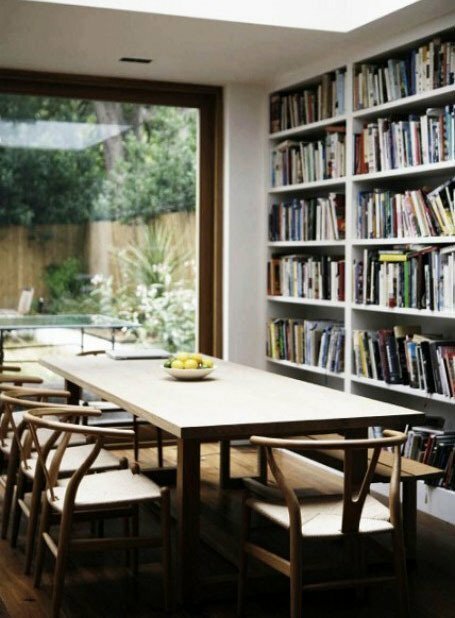 Consider lining the walls of a formal dining room with built in bookshelves for a library feeling. With the addition of a farm-style table the dining area easily doubles as a work space or home office. Family rooms can be big spaces and it’s not difficult to get a little lost in all the open space. Rethink the ways furniture is placed in great rooms; with a little out of the box thinking a large open room can be divided into smaller spaces better suited to your family’s needs. Tall book cases placed at right angles to the walls act as non-permanent room dividers; a couch located in the center of the room allows for a workspace or exercise area to share the living room. This entry was posted in Dream Home, Family Home, Floor Plans, Home Floor Plans, House Improvement, House plans stuff and tagged dream home, flex space, house plans, Multi-Functional rooms on June 23, 2016 by Admin.